Dear readers, are you ready to discover your next favorite hangout spot? Well, why not?! 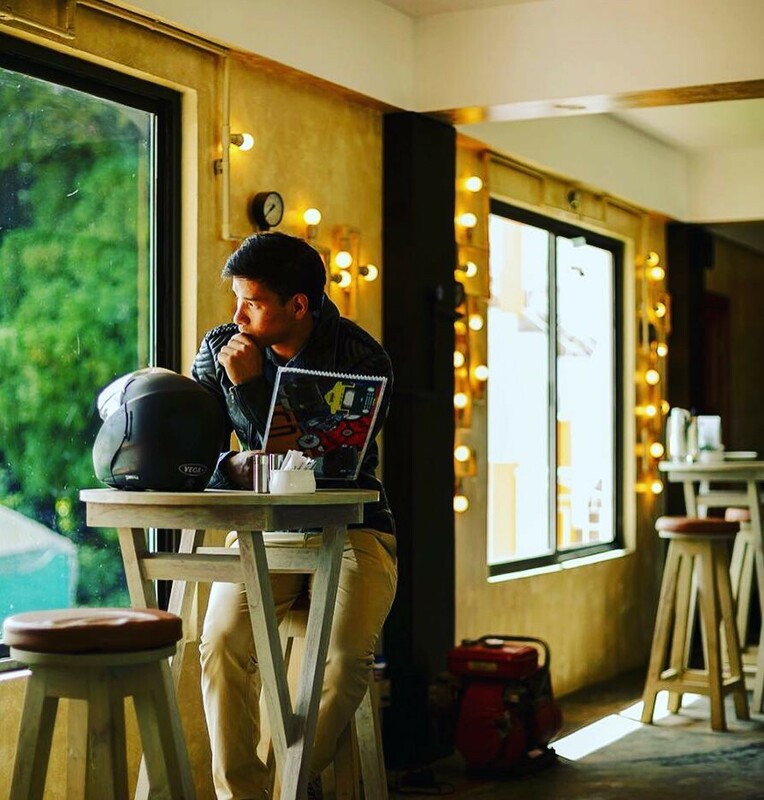 This cafe in Shillong is a perfect retreat/haven for bikers and travelers passing along – custom-themed for the love of sports and bikes, and we just can’t stop harping about it! We spent a cozy evening at ML 05 Cafe, a new concept cafe in Upper Shillong that celebrates cars, bikes, and food right beside a pine forest, tastefully designed to muse over a motor head’s passion for the road and love for bikes. The young cafe has only begun operations in May last year (2016) and has been attracting a huge mass of people from all across the region. 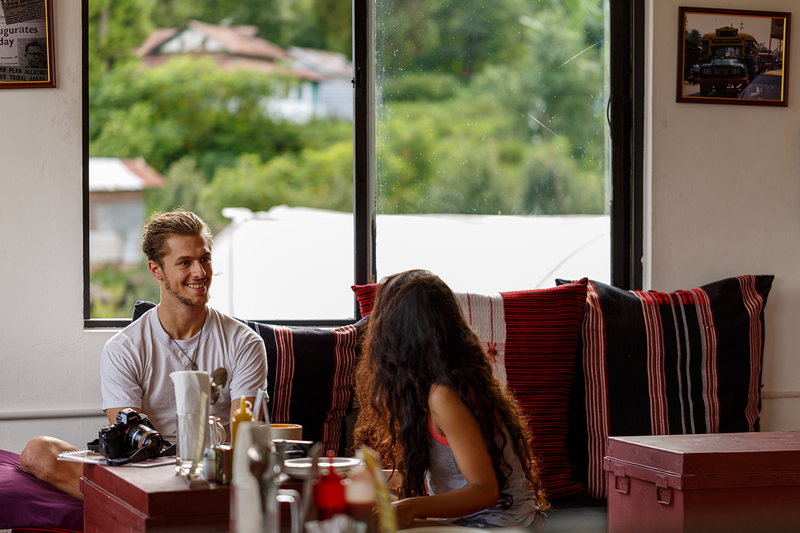 Nestled amidst the lap of nature and hills, it’s the sort of a cafe that seems like a perfect spot for a wild escape from one’s bustling urban life. We had a tete-a-tete with Vatsala Tibrewalla, who manages the cafe along with her brother Deval Tibrewalla, who also co-owns the Dylan’s Cafe with her. Biker stopping by at the Cafe ML05 for a quick snack. 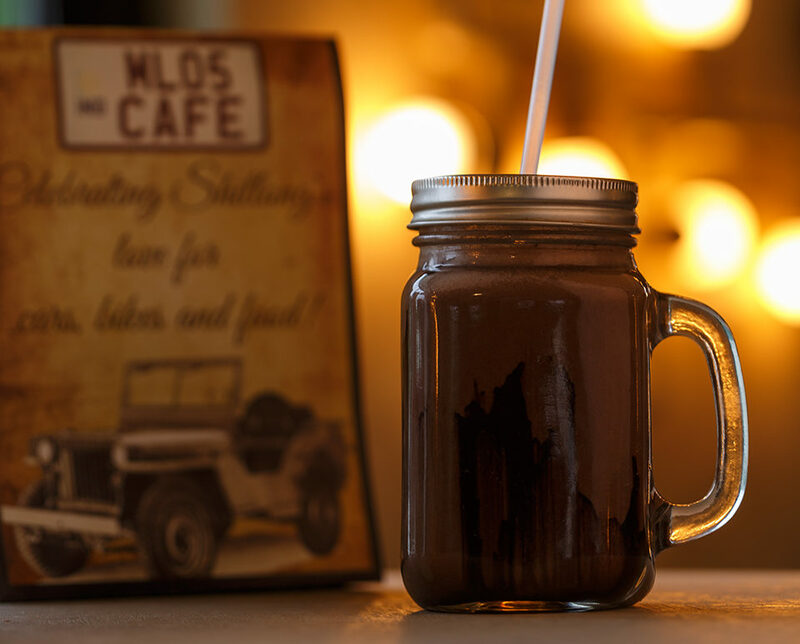 What sprouted the idea of ML 05 cafe and how did you take it forward? Deval is an hotelier by profession but a motorsports enthusiast and car lover by passion. He has completed the world’s highest car rally called Raid de Himalaya twice and knows everything there is to know about cars and bikes. I (Vatsala Tibrewalla) was pulled into the project mid-way through the conceptualisation phase and gave a few inputs on the creative side, helped with menu planning and setting up the overall operations. 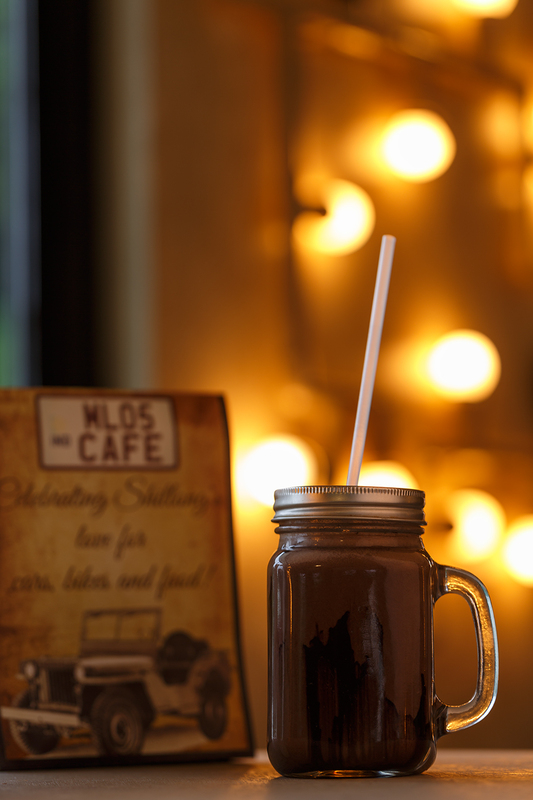 We came across this space for the cafe in Upper Shillong, a few months after launching Dylan’s Cafe in Shillong. By looking at Dylan’s popularity within a few months, we found that the concept of a theme cafe was being well received. So, we decided we wanted to do something fun with our next project as well. While thinking about the core concept of ML 05, we again wanted to capture something which everyone from Shillong can relate to. Upper Shillong is an area where most locals go for their Sunday drives and picnics. 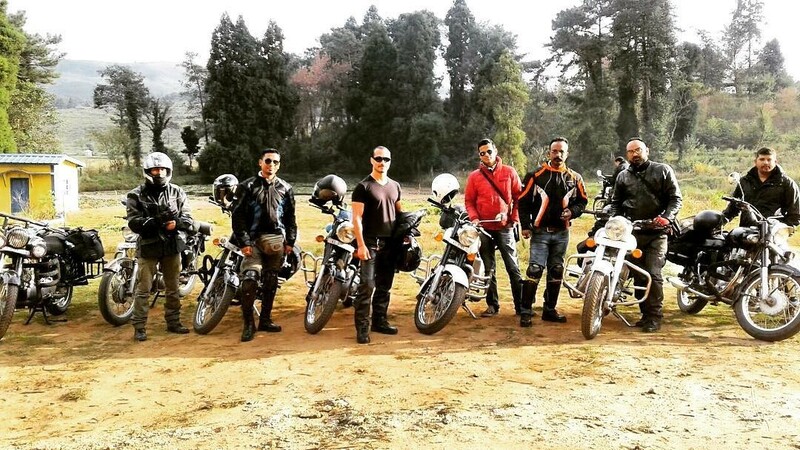 It is frequented by biker groups and tourists as well who go there exploring. 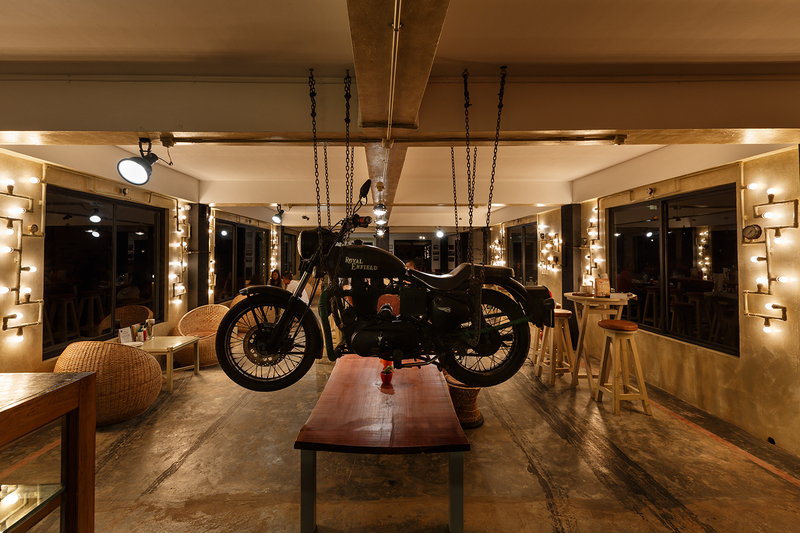 The cool interiors of the ML 05 Cafe with a Royal Enfield hanging from the ceiling. So how have you imbibed the theme into the cafe’s interiors? The most striking of all our installations is a Royal Enfield bike that hangs from the ceiling bang in the center of our cafe space. In addition, we used real car headlights as ceiling lights and steering wheels as door handles. We have also used other spare parts from cars and bikes as props all around the cafe. We also exhibit some customized artworks. For example, we showcase a mural celebrating vehicles which evoke nostalgia amongst Shillongites. It depicts Willy’s jeep, a Bedford Bus (Shillong’s local city bus), an Ambassador taxi, and a Royal Enfield interspersed among some quotes that are centered around the love of biking or driving. A creative light installation using metal pipes compliments the rest of the artwork. We also used Naga shawls to make cushions and used locally woven Khasi bamboo mats at the low seating area to give the space a local touch and create a relaxed lounging area. The rest of the lights are built out of local cane moorahs. What sort of cuisine does ML 05 feature on its menu? We serve all day breakfast, lunch and dinner. 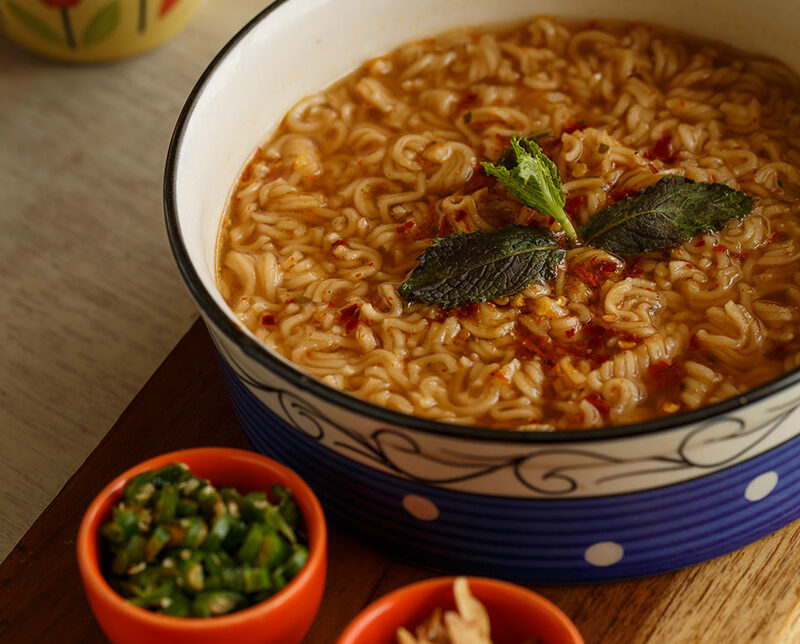 Our cuisine is a mix of local favorites, quirky street food-inspired options along with hearty Italian & Chinese main course items, a range of hot and cold beverages and dessert. 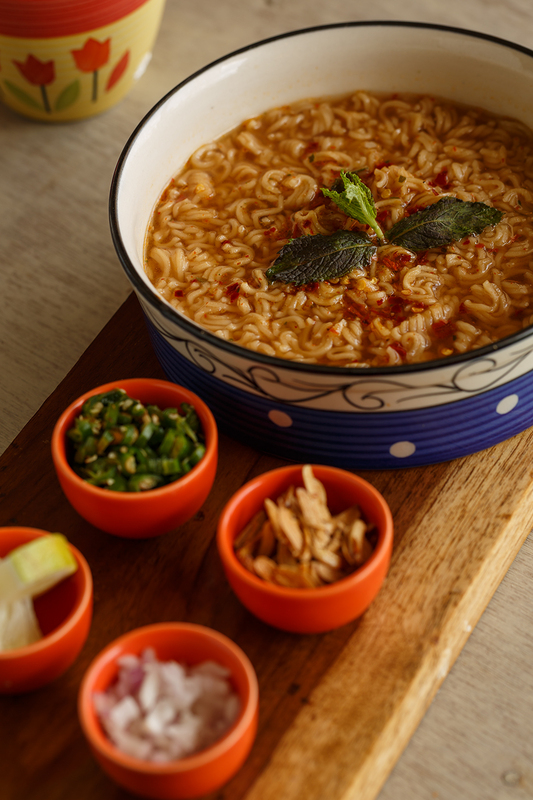 Cafe ML 05’s special – Wai Wai Thukpa served warm. 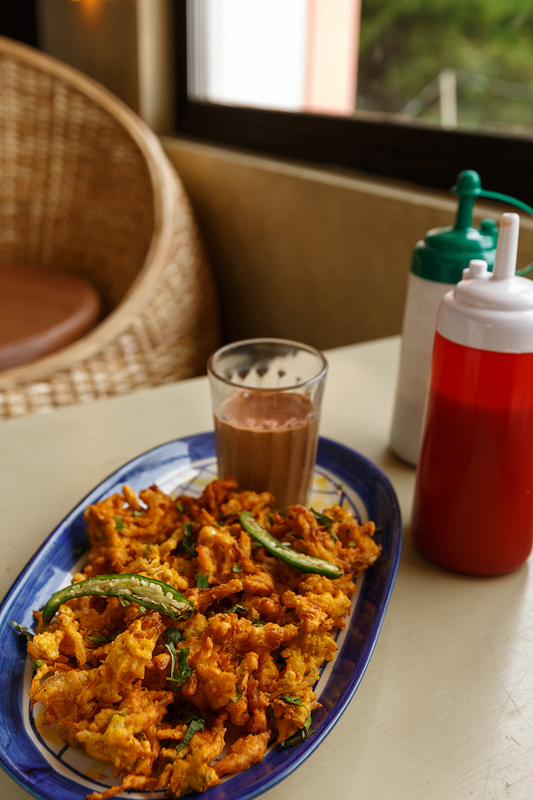 We almost drooled at the sight of their warm bhajias accompanied with hot chai! 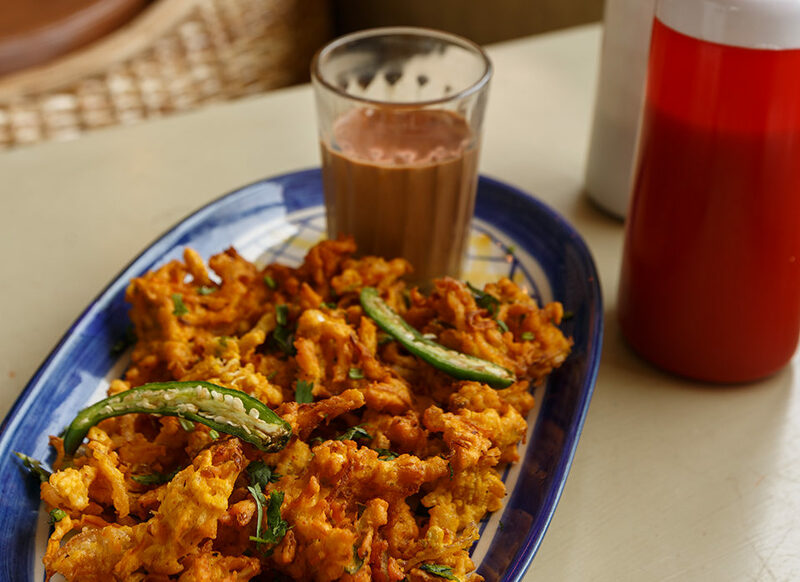 Onion Bhajia with Cutting Chai. 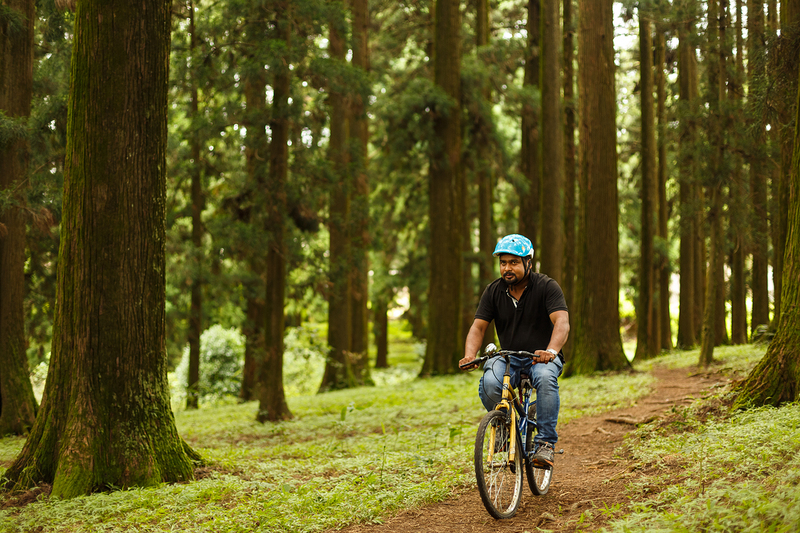 Don’t miss the absolutely stunning pine forest leading to the cafe! We are surrounded by beautiful natural landscapes on all sides and are literally nestled in the lap of nature. We also rent out bicycles so our visitors can explore the nearby areas while building up an appetite for our delicious menu. People enjoying cycling rented out by the cafe. A bunch of passionate bikers photographed at the cafe. 5th Mile, Upper Shillong, Inside Horti Hub Compound, On the way to Elephant falls & Cherrapunjee. Check out their Facebook and Instagram for more updates.